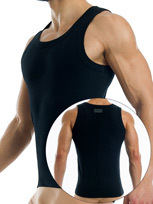 Propably the most comfortable tank top you will find for your workout. 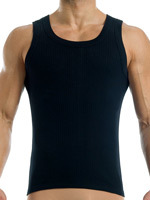 The Broaded Tanktop is a new basic available in three strong colours, blue, black and red. 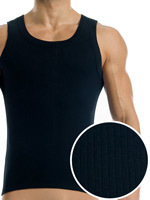 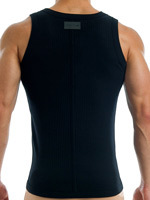 It has a curved back hem and broad elastic cotton trims to the neck and arms.